Wayne Rooney's protracted move to DC United has finally been concluded with confirmation that he will officially sign for the Major League Soccer club on 10th July. Updated Wayne Rooney is on the verge of sealing his move to DC United after he flew back to the USA to complete the deal. Gylfi Sigurdsson scored a second-half equaliser from the spot to give Iceland hope of qualifying for the knockout phase but Croatia ultimately prevailed. Oumar Niasse says it is not up to him whether he makes any move to Galatasaray as recent reports suggest is on the cards. Everton will play Lille and FC Porto in the Algarve next month as part of their pre-season preparations. Idrissa Gueye played the full 90 minutes as Senegal drew 2-2 with Japan in Ekaterinburg. Everton are introducing an enhanced membership scheme for the 2018-19 season, with a new name: ‘We Are Everton’. Everton have confirmed that Ramiro Funes Mori has left the club to join Spanish side Villarreal for an undisclosed fee, believed to be around £10m. Former Everton forward Ernie Hunt has died aged 75, the club have announced. Idrissa Gueye had a hand in his country's opening goal as Senegal prevailed over Poland in Moscow. Andrei Kanchelskis says that if Everton can get their recruitment right this summer, there is every chance they could challenge for the top four. Everton's Jordan Pickford was named in England's starting XI as Gareth Southgate's side ground out a narrow victory over Tunisia in their group stage opener. The Irish fullback is confident that Everton's No.1 will do England proud should he get the nod from Gareth Southgate. Gylfi Sigurdsson made his World Cup Finals bow with Iceland this afternoon and helped his nation hold highly-favoured Argentina to a 1-1 draw. Everton have lined up northwest run-outs against Bury and Blackburn Rovers as part of their preparations for the new season. Everton will kick off the new season and Marco Silva's tenure with a fixture against newly-promoted Wolves at Molineux. New Everton boss Marco Silva will offer Morgan Schneiderlin a fresh start at Goodison Park but three other players have been informed they can leave. Dr Ryland Morgans has left his post as Performance Director at Everton as the latest of the raft of changes at the club. Professor Denise Barrett-Baxendale, has outlined the key roles and individuals who will form a new-look ‘ambitious and talented’ leadership team at Everton. Plymouth Argyle have signed former Everton youngster Calum Dyson. Kenyan side, Gor Mahia, retained the SportPesa Super Cup with a 2-0 victory over Simba SC on Sunday to claim a trip to Goodison Park where they will play Everton. 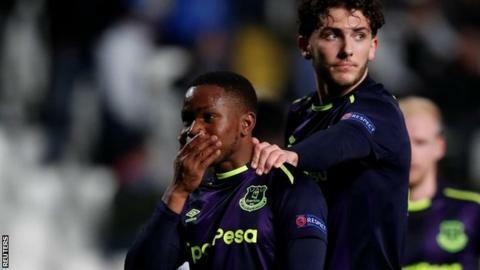 Ademola Lookman's prospects of not only staying at Everton but being an important member of the squad have been enhanced by comments made by Marcel Brands. The Everton midfielder scored the winner as England U21s beat Mexico this evening to win their third straight Toulon Tournament. Seamus Coleman has revealed the extent to which he felt guilty that he couldn’t be there for club and country during his 10-month lay-off with a broken leg. Gylfi Sigurdsson got another hour-plus worth of action as Iceland finished their World Cup preparation with a 2-2 draw with Ghana. Joel Robles will definitely be leaving Everton this month along with six players from the U23s setup. Everton's new Director of Football has been analysing the squad as he nears the end of his first week at Finch Farm. Every available season ticket for 2018/19 has been sold, Everton have announced. Liverpool Mayor, Joe Anderson, has admitted that Everton are still exploring other funding avenues for their proposed new stadium at Bramley-Moore Dock. Conor Grant was released by Everton today and has joined Plymouth Argyle. The Wilson family asked that guests did not wear black. The message was unspoken but clear - this was to be a celebration of Ray Wilson’s extraordinary life. And Ramon ‘Ray’ Wilson’s life really was extraordinary. Marco Silva has been offering some hints on the way he intends to set his team up as Everton manager. Everton’s Under-23s team was well-represented when England and Scotland met in the semi-finals of the Toulon Tournament this evening. Marcel Brands has warned that Everton will need to trim its bloated squad before they can make targeted signings to improve the team for next season. Marco Silva has responded to questions over his commitment by insisting that he came to Everton with stability and longevity in mind. The decision over Wayne Rooney's future appears to lie in the player's own hands after Marcel Brands admitted that Everton and DC United are close to an agreement over a deal for his transfer. The duo say that certain needs have been identified but they will be taking stock of Everton’s squad and the Finch Farm Academy as a first order of business. Everton’s new management team addressed the media for the first time together this afternoon at Finch Farm, with Marcel Brands formally introducing the club’s new head coach. Jordan Pickford has been confirmed as England's first-choice goalkeeper for the World Cup this month following the release of England’s squad numbers. Gylfi Sigurdsson played 27 minutes of Iceland's friendly against Norway this evening, scoring once in a 3-2 defeat. Everton and Watford will meet again later this month to try and thrash out a resolution to the "tapping up" row and stave off the need for a Premier League arbitration meeting. Jordan Pickford was named in the starting XI for this evening's friendly against Nigeria at Wembley which the home side won 2-1. Everton’s young England players all saw action for the Under-21s in their final group match at the Toulon Tournament on Friday night. Ashley Williams sustained two broken ribs and a punctured lung in Wales's goalless draw with Mexico last Monday. Everton Under-23s will play friendlies against Bamber Bridge and Stockport County as part of their upcoming pre-season schedule. Cenk Tosun won and converted a penalty but was then sent off following a heated exchange with someone in the crowd during Turkey's friendly against Tunisia. Updated Wayne Rooney's proposed move to Major League Soccer is edging closer, although sources in the US say it might not be concluded as soon as a Sky Sports report suggests. The Everton fan who got involved in the pitch-side melee during Everton's Europa League game while holding his young son in his arms has been handed an eight-week prison sentence. Marco Silva has officially been announced as Everton’s new manager following weeks of speculation suggesting he would be installed as the long-term successor to Ronald Koeman. The Silva lining to the dark clouds of 2017-18? Everton have announced that Valenica will be the opponents for the traditional home pre-season friendly, on 4 August 2018. Farhad Moshiri and Bill Kenwright have welcomed new Everton manager Marco Silva as the second appointment aimed at transforming the club’s faltering fortunes on the pitch. Marco Silva's confirmation as Everton manager could arrive in the next two or three days, possibly coinciding with Marcel Brands's first day. Jose Baxter has rejoined Oldham Athletic following his spell back in Everton's U23 setup. While there was a number of Everton players who featured to varying degrees at the 2014 World Cup, this time the Blues will have just three representatives at the tournament. RSC Anderlecht have responded to accusations made by Henry Onyekuru and certain observers in his native Nigeria that they deliberately withheld him from their team in recent weeks. Young Everton fullback Antonee Robinson played the full 90 minutes and set up Timothy Weah for the third goal as the United States beat Bolivia 3-0. Wales held out for a goalless draw against Mexico on Monday evening in front of 82,345 at the Rose Bowl in Pasadena, California. Cenk Tosun scored both goals as Turkey beat Iran 2-1 in a pre-World Cup friendly this evening. You can listen to an extract from the Big Interview with David Weir. In this clip, David describes some of the big characters he played alongside at Everton, beginning with two shrinking violets: Duncan Ferguson and Thomas Gravesen. Wayne Rooney is still exploring a proposed move to DC United but the MLS club's head coach insists nothing is yet done by way of a deal. Tom Davies, Jonjoe Kenny and Kieran Dowell all played in England U21s' group stage opener of the Toulon Tournament. Ashley Williams has spoken of his predictable frustration at having had to sit out the last couple of months of the season without playing. Kieran Dowell will be an "amazing player" in the future, says Aitor Karanka – but he admitted he was mystified as to why the forward lost his mojo in the final months of the campaign at Nottingham Forest. In August 1999, he handed in an ill-advised transfer request that prompted manager Walter Smith to tell him to “get out of my office before I kill you”. Marco Silva is unlikely to be confirmed as Everton's new manager until next week now according to a report by the Liverpool Echo. Everton will play, at a date yet to be determined, the winners of the second SportPesa Super Cup that kicks off in Kenya in 10 days' time. Eight players have been released from Everton's youth academy as the Blues look to freshen up their talent pool at the level. Marcel Brands has given his first interview since being appointed as Everton’s new Director of Football and he spoke about his short-term objectives as well as a long-term plan he will institute at the club. Updated Wayne Rooney will fly to the US capital this week to undergo a physical and agree the finer points his proposed move to Major League Soccer according to a report. One of Everton's senior recruitment personnel, Laurence Stewart, is to leave the club as Marcel Brands seeks to overhaul his new department at Finch Farm. Marcel Brands will hold talks with Marco Silva about the vacant manager’s position at Everton before the weekend. "The player in the Bundesliga with the most goals per minute played is (grosse Uberraschung!) Robert Lewandowski. But there in second place is Ademola Lookman, an English kid who is considered surplus to requirements at a mid-table Premier League side." It has been a sharp fall from grace for the 30-year-old, who signed a three-year contract at Goodison Park just 12 months ago. According to The Times, Everton are now refusing to recompense Watford for what the Hertfordshire club claim was the tapping up of Marco Silva. Davy Klaassen's agent has told the Dutch media that far from looking for an exit this summer the midfielder wants the chance to impress Everton's new management. Former Everton Academy midfielder Ryan Ledson has made a quick move up football's ladder with the announcement that he will join Championship side Preston North End. Sam Allardyce was back on the radio expressing his disappointment at being sacked by Everton, insisting the majority of Blues were behind him. Everton have confirmed that they have hired Marcel Brands from PSV Eindhoven to replace the departing Steve Walsh. Everton have made official the news that Sam Allardyce is leaving his role as the club's manager following a meeting with Farhad Moshiri this morning. A study finds that Everton is at the centre of a geographical shift when it comes to producing top English players. The Everton playing legend 1966 England World Cup winner has died at the age of 83. As expected, Jordan Pickford is the only Everton player picked by Gareth Southgate to represent England in the Russia World Cup. Everton are hoping to hold fresh talks with Watford's hierarchy to avoid a potential points deduction for their approach for Marco Silva. Everton have confirmed the departure of Robert Elstone as the club’s Chief Executive amid a wider restructuring of the club's administration. Sam Allardyce’s tenure as Everton manager looks to be over amid reports that the club will relieve him of his duties within the next 48 hours. Negotiations between Wayne Rooney's representatives and the MLS club are progressing, with one source indicating that the transfer could be agreed by next week. Henry Onyekuru and Everton's hopes that the young striker might be included in Nigeria's party for the World Cup have been dashed after he was omitted from the provisional 30-man list of players. Sam Allardyce cited a great performance from West Ham goalkeeper Adrian as the reason for his team’s defeat the London Stadium today while also admitting he is unsure of his Everton future. Everton bring the curtain down on a sorry 2017-18 season with a trip to the London Stadium to face West Ham. Sky Sports have offered yet more indications that Wayne Rooney is about to leave Everton with a report from the club's Halewood training complex. The manager says he was due to speak to the player, who misses Sunday's game through injury, to get clarity on his future. Matthew Pennington has agreed a new three-year contract with the Blues, the club have announced. What can Marcel Brands expect at ambitious Everton? Chris Meijer of Dutch magazine Voetbalzone has been taking a look at what lies ahead for Marcel Brands, the man who has earned a stellar reputation in the Eredivisie for his savvy recruitment and been hand-picked by Farhad Moshiri to lead the next phase of rebuilding at Goodison Park. Updated Wayne Rooney is reportedly set to make a high-profile move to DC United, with a £12m deal close to being agreed. Rob Sawyer’s brilliant biography of legendary Everton defender T.G. Jones is up for 2018 Sports Biography of the Year. Some of the strongest indications thus far that Marcel Brands will shortly be joining Everton have cropped up in reports on both sides of the English channel over the past couple of days. Sam Allardyce admits that persistent talk about his future at Everton could have been lessened by a definitive statement of support from the club's hierarchy. Everton denied Southampton two priceless points with a goal deep into stoppage time after Nathan Redmond's header looked to have settled it. Sam Allardyce says it’s sad that, in his opinion, Everton’s players have not received the acknowledgement they deserve for achieving safety from relegation this season. Sam Allardyce reserved the bulk of his criticism for a poor display against Southampton today for some of the fringe players given an opportunity to shine. Everton wrap up their home fixtures for the season by hosting relegation-threatened Southampton in the late afternoon game. Olympiakos have reportedly terminated the Belgian's loan spell following a succession of poor displays. Marcel Brands won't announce a decision over whether or not to leave his role as PSV Eindhoven's technical director for Everton until after this weekend. Beni Baningime has signed a new four-year contract that ties him to the Blues until the summer of 2022. The Belgian club want to keep the Nigerian striker for another season at least but the player himself is apparently undecided. Sam Allardyce will never gain the full support of Everton fans, according to former Blues forward Kevin Campbell. Jordan Pickford picked up the two biggest prizes at Everton’s end-of-season awards this evening after being named Young Player and Player of the Season. Jordan Pickford is among the names nominated for Premier League Player of the Month for April. The club have unveiled the 2018-19 home strip, replete with Umbro diamonds on the sleeve and a new marl effect. An article in The Mirror claims that Everton will listen to offers for Wayne Rooney in a summer clearout which could also see Sam Allardyce and Bill Kenwright leave the club. Everton won away from home for only the third time in the Premier League this season as a goal in each half was enough to beat relegation-threatened Huddersfield. Sam Allardyce was standing by his record since taking over at Everton after seeing his side beat struggling Huddersfield at the John Smiths Stadium this afternoon. Everton’s season continues to wind down with their first trip to Huddersfield Town in the League since the early 1970s next on the agenda. Sam Allardyce has expanded on the comments he made yesterday regarding Thursday's meeting with Farhad Moshiri but wouldn't confirm that Everton's major shareholder gave him his unequivocal backing. Dominic Calvert-Lewin will miss the last few games of the Premier League season as well as the Under-21s tournament on Toulon because of a back injury. Sam Allardyce has moved to dispel any uncertainty over his future with the Blues by saying that he has had productive discussions with Farhad Moshiri about how to proceed next season. Sam Allardyce met with the club's major shareholder in London today as the manager seeks assurance over his future. Everton made history on Monday night when 14-year-old Jack McLinden became football’s first “remote” mascot. Sam Allardyce, the present Everton manager, recently said while talking to the press that he has received a formal apology from Bill Kenwright, the Everton chairman, after the Merseyside club had ran a survey among the club’s fans, to rate his and his coaching staff’s performance. Goodison Park plays host to its penultimate match of the 2017-18 Premier League season as Newcastle United come to town for the Monday night game. After a goalless first half, Everton grabbed the winner through Theo Walcott who struck home his side's only shot on target shortly after half time. Sam Allardyce says he and his staff successfully rescued struggling David Unsworth back in November and cites his arrival as the catalyst for that important home win over West Ham. Sam Allardyce was satisfied with a hard-won victory over Newcastle this evening as Theo Walcott’s solitary goal allowed Everton to edge the Magpies at Goodison Park. David Henen's career with the Blues appears to over based on a message the Belgian forward posted to Twitter today. Luke Garbutt has no first-team future as long as Sam Allardyce is in charge after the manager indicated that it would be in the defender's best interests to seek a move elsewhere. Everton Under-23s rounded off their Premier League 2 campaign on Friday with an entertaining 2-2 draw at Old Trafford against Manchester United. Sam Allardyce says that he would benefit from Everton's hierarchy providing some clarity over his position as speculation regarding his future continues. The much-anticipated statue honouring the achievements of Everton's famous midfield trio of Howard Kendall, Colin Harvey and Alan Ball came a step closer this week with the news that a formal planning application for its installation has been submitted by the club. This weekend will see Everton Football Club, Everton Ladies and Everton in the Community, join football clubs across the country in celebrating the contribution refugees have made to football as part of the Amnesty International initiative, ‘Football Welcomes. Red Bull Leipzig would be keen to sign Ademola Lookman on a permanent basis but their sporting director admits the decision would rest with Everton. Sam Allardyce has responded to the flap over the questionnaire Everton sent out to season ticket holders and club members this week, saying the Marketing and Communications Department made a “big mistake”. 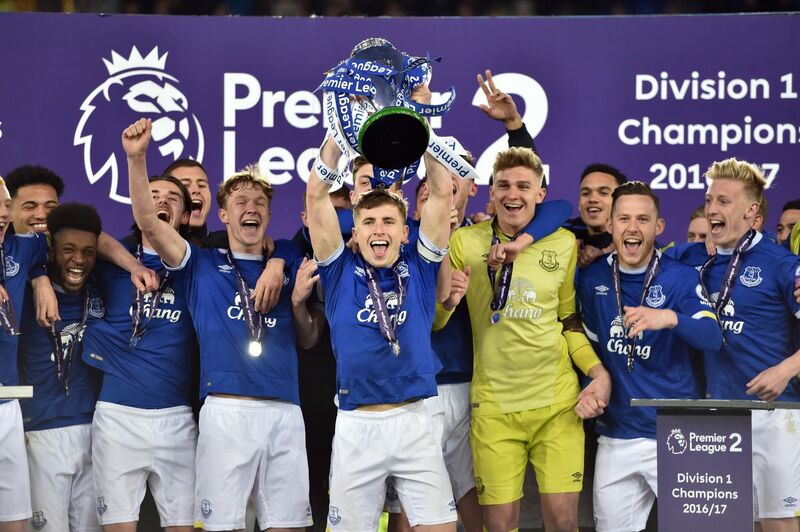 David Unsworth has been laying out the immediate future for his Under-23s squad, one which he says is in the middle of another cycle following last season’s Premier League 2 title triumph. Morgan Schneiderlin says that he will be ready for a different test than the Premier League when it comes time to leave Everton. Everton have launched a fresh survey of a select group of fans to gauge opinion on a number of aspects of supporting the club. Marcel Brands admits that it would be hard for him to walk away from his project at PSV Eindhoven as speculation persists that he could join Everton. Everton Under-23s took on Liverpool in Southport this evening but lost 3-1 in a game streamed live on YouTube. Everton favourite Tim Cahill has expressed his dismay at the Blues’ loss of identity in recent years. "This was not a disastrous result nor a disastrous performance; Everton are not interesting enough for that. The only aspect of this season that truly stands above any other is the apathy that has engulfed it." Everton let slip the chance to register back-to-back away wins for the first time this season as they allowed Swansea to claw back a point. Sam Allardyce hailed what he described as a “great point” after Everton’s 1-1 draw at Swansea today. Everton Under-18s returned to winning ways with a 3-2 win over Blackburn Rovers at USM Finch Farm on Saturday morning. Everton travel to South Wales to face Swansea City in the first of their three remaining away matches of the season. Sam Allardyce says that it remains to be seen whether Gylfi Sigurdsson will play again in the Premier League this season as he recovers from a knee injury. Sam Allardyce says that more patience is needed with Yannick Bolasie as the winger tries to regain sharpness following more than a year on the sidelines with a serious knee injury. Vote now for the End-of-Season awards, held at the Philharmonic Hall on May 1. Stuart Heritage writes that, "Neville Southall is a 59-year-old former binman and retired goalkeeper who hasn’t played top-flight football for 20 years. If anyone has earned the right to live in the past, it’s him. But no. Instead, Neville Southall has chosen to engage with the world." Everton Under-18s fell to a disappointing 2-0 defeat against Sunderland at USM Finch Farm on Tuesday afternoon. England's 20 top-flight clubs have voted to postpone any introduction of video assistance for referees for at least a season. Boris Mathis has returned to Finch Farm having had his loan spell with Northampton Town terminated early. An unusual Under-23's line-up was hammered by four-goal star Marcus Browne, who saw his West Ham side triumph emphatically in Southport this evening. Liverpool Mayor, Joe Anderson, has revealed an alternative funding scenario for Everton's proposed stadium at Bramley-Moore Dock whereby the Council could build the ground and lease it back to the club. The Dutch club's general manager has confirmed that the Blues are in talks with Marcel Brands but insists no deal is close despite recent reports. Sam Allardyce credited his players’ effort and his own substitutions for putting Everton in the position to win the game against Liverpool yesterday, even if they couldn’t quite manage it. Sam Allardyce defended his decision to take Wayne Rooney off in yesterday’s Merseyside derby saying that his substitutions proved to be a turning point for his team in the game. Everton face another unwanted clash with neighbours Liverpool, hoping to register their first derby win in eight years. Manchester City Under-18s thrashed Everton 6-1 at a rain-soaked Academy Stadium on Saturday. Everton's last year has revealed ambition without strategy, money without philosophy. In as much as there has been one, Everton's identity is unwanted. It could be described as failed pragmatism or rubbish pragmatism, with underachievement and underwhelming football. Marcel Brands will make the switch from PSV Eindhoven to Finch Farm once the Dutch side have been confirmed as Eredivisie champions according to Sky Sports News. Everton Football Club is delighted to announce that Steven Pienaar has become the Club’s first official Everton International Ambassador. Architect Dan Meis began the next phase of supporter engagement over the proposed ground at Bramley-Moore Dock today with workshops at St Luke's Church. Everton Under-23s were beaten 4-3 by Manchester City Under-23s atGoodison Park on Sunday. The Blues succumbed in expected fashion to the Manchester City juggernaut, going down to a 3-1 defeat at Goodison Park. Manchester City U23s come to Goodison Park on Sunday in a game that will be available online to Everton Members. Sam Allardyce pointed to Manchester City’s overwhelming superiority in the wake of Everton’s 3-1 defeat to the Champions-elect at Goodison Park this afternoon. Everton enter the home straight of a turbulent season with the first of two challenging home games as Champions-elect Manchester City come to town. Mayor Joe Anderson has launched an impassioned defence of the proposed financal deal that will see Liverpool City Council lend Everton money for their new stadium. Everton are involved in another contract wrangle with the Liverpool Echo reporting that the club are paying the bulk of the new Holland manager's salary. Nikola Vlasic scored twice for Croatia U21s this evening and Dominic Calvert-Lewin was on the mark for England. Two of Liverpool's Constituency Labour Parties (CLPs) have passed motions to demand an ‘all members meeting’ to scrutinise the loan being proposed for the Bramley-Moore Dock stadium. Gylfi Sigurdsson says he is feeling the benefits of his rehabilitation work as he bids to recover from the knee injury he sustained earlier this month. The ground-breaking tour of Argentina and Uruguay jointly undertaken over 100 years ago by Everton and Tottenham Hotspur. Kieran Dowell says he would "love" the opportunity to make the step at Everton but would consider returning to Nottingham Forest on loan for next season. A very late goal from Ellis Simms in added time saved a point for Everton U18s against Middlesbrough on Saturday. Seamus Coleman took to the field for Ireland this evening, a year after he suffered a horrific double leg-break in a World Cup qualifier against Wales. England U21s warmed up for Tuesday's Euro 2019 qualifier against Ukraine with a hard-fought 2-1 friendly win over Romania at Molineux. Jordan Pickford got another chance to impress Gareth Southgate when he started in goal in a friendly against the Netherlands and kept a clean sheet. The Everton U23s striker has been included in his country's senior squad despite not yet having made his first-team debut at club level. Mason Holgate won't be censured by the Football Association for homophobic tweets he sent as a 15-year-old but he has received a "formal warning" and will be required to take an "inclusion programme". Everton have revealed some of the findings from the recent survey of fans on the 11 Key Principles for the proposed move to Bramley-Moore Dock. Idrissa Gueye is expected to be out of action for around three weeks, according to his international manager, Aliou Cisse. Kevin Mirallas could be on the move again this summer if a report in his native Belgium concerning his underwhelming form in Greece holds water. Mason Holgate has withdrawn from the England U21s squad to have an operation on his ankle, the club have announced. Everton's match against Newcastle United has been switched to a Monday night kick-off on 23rd April and will be screened live by Sky Sports. The Argentine defender admits he tasked his agent with engineering a move back to his homeland to better prepare for the World Cup. Everton Under-18s coach Paul Tait described his side’s performance as “fantastic” after they hit seven goals past Newcastle United at USM Finch Farm on Saturday afternoon. Everton U23s are out of the Premier League Cup after a 3-0 defeat at Brighton & Hove Albion on Saturday. Everton won only their second away game of the season thanks to Cenk Tosun’s brace and Charlie Adam’s first-half red card. Sam Allardyce feels vindicated in his decision to hold Cenk Tosun back from Everton's starting XI following the striker's match-winning brace at Stoke today. Everton take their miserable away record to the uncompromising environs of the bet365 Stadium this weekend to face embattled Stoke City. Sam Allardyce says he and his team are taking a wait-and-see approach with regard to Gylfi Sigurdsson’s knee injury rather than confirm that the Icelandic star will be out for up to eight weeks. Everton’s players have been undergoing psychological therapy in an attempt to end the culture of ‘fear’ causing their dire away record. Jordan Pickford has been named in the senior England squad again while six of Everton's youngsters have received calls from the U21s. Gylfi Sigurdsson is expected to be sidelined for six to eight weeks because of his injured knee but could be fit for the World Cup. Everton's clash with Liverpool at Goodison Park will now kick off at 12:30pm on Saturday 7th April. Nikola Vlasic’s father, Josko, has expressed his disappointment at the way his son has been dropped from Everton’s first team since the turn of the year. Everton's Chief Executive has been approached by Rugby League about heading up their Super League according to reports. Gylfi Sigurdsson is to undergo further tests on the right knee that he damaged in Saturday's victory over Brighton. Everton U23s fell to a 2-1 defeat against Sunderland on Sunday in a game the young Blues largely dominated. Everton eased the pressure on Sam Allardyce and the lingering fears of relegation with a fairly comfortable 2-0 win over Brighton that saw Cenk Tosun score his first Goodison Park goal. Sam Allardyce praised his Everton team, and Wayne Rooney in particular, following their 2-0 win over Brighton & Hove Albion today. Everton return to Goodison Park following two disappointing away games for a clash with Brighton that has taken on much importance than it otherwise might. Sam Allardyce has insisted that he still wants to remain as Everton boss on a long-term basis as speculation over his future with the club persists. Tyias Browning has suffered a groin injury and will miss the remainder of the season. Sam Allardyce says that Nikola Vlasic is one of the young players of whom much is expected next season after falling out of the first-team reckoning lately. Manasse Mampala lashed home a stunning late volley to secure Everton Under-18s a 1-1 draw with Wolves at USM Finch Farm and keep the pressure on Manchester United at the top of the U18 Premier League. Ramiro Funes Mori came through 90 minutes of action for the Under-23s last night and says he is 100% ready for Saturday if selected. Davy Klaassen saw competitive action for the first time since December when he turned out in Everton's Under-23s 2-0 win over Swansea City. Seamus Coleman says that Everton need to repay the fans’s support by putting in winning performances in the next two games. Everton lost away from home for the sixth successive match in all competitions as Burnley came back from a goal down to win it in the second half. Sam Allardyce pointed to wasteful finishing from his team in the wake of an away defeat, this time at Burnley where Everton threw away a 1-0 lead to lose 2-1. Everton get another chance to improve on their horrendous away record when they travel to Burnley this weekend. Sam Allardyce has shrugged off speculation about his future at Everton by insisting that the Blues are in a “very good position” as they prepare for tomorrow’s trip to Burnley. Sam Allardyce has come to the defence of Everton’s director of football, Steve Walsh, whose role at the club has come under mounting scrutiny of late. James McCarthy could resume training as soon as July according to Sam Allardyce, suggesting that the prognosis following surgery on his broken leg is positive. The injury to Eliaquim Mangala's knee has required surgery and the defender will now begin the rehabilitation that will likely keep him out for the rest of the season. Everton have hired another former player in the form of Martin Dobson to be the club's new professional development co-ordinator. Former Everton favourite, Steven Pienaar, has announced his retirement from the playing side of football at the age of 35. Davy Klaassen must continue to be patient in his quest to fight his way back into the first-team reckoning at Everton. Ramiro Funes Mori credits mental resilience and family support for helping him through his long absence with a serious knee injury. The Blues' de facto owner has invested lavishly in two years but the disconnect between team and supporters is glaring, fuelled by poor signings and growing disenchantment with Sam Allardyce. The club and their Main Partner are offering supporters FREE travel from Goodison Park on Saturday because of planned rail strike action. Everton Under-23s had the chance to top Group F if they managed to beat Leicester City this evening but lost 2-1 amid late drama. Boss also insists that Everton's expensively-assembled side needs to be dealing better with the pressure to perform. Everton's home clash with Liverpool will now take place on Sunday 8th April with a 2:15pm kick-off. Everton’s terrible run away from home continued as Troy Deeney’s 79th-minute strike decided a dire encounter at Vicarage Road. Everton U18s were thumped 4-1 at Man Utd's Carrington training ground today. Sam Allardyce bemoaned poor finishing for his team’s latest away defeat after Troy Deeney scored the only goal in a drab encounter with Watford today. Everton travel to Watford tomorrow looking to push on over the final 11 games and try and secure seventh place in the Premier League. Sam Allardyce said that a definitive timescale can't be put on Eliaquim Mangala's prognosis as the extent of his knee injury continues to be assessed. Cenk Tosun feels that this week's warm-weather training camp in Dubai will stand him in excellent stead in his attempts to settle at his new club. Everton Under-23s midfielder Antony Evans has signed a new two-year contract that runs until 2020, the club have announced. A list of what author Will Moody perceives to be the top 55 players worth keeping an eye on in the years ahead. It’s based on an obsessive following of England’s age-group teams for the last seven years, some cold, hard stats and the views of dedicated club fans and reporters who watch these players week-in, week-out. The Football Association have announced that Roberto Firmino won't be censured following accusations of racism levelled at him by Mason Holgate in last month's cup derby. Updated It wasn't announced at the time but the Football Association's records confirm that Idrissa Gueye agreed a new five-year contract in the autumn. Everton's U23s were in Premier League 2 action against Derby County at Goodison Park this evening but ended up on the wrong end of a 3-1 scoreline. Everton's Tom Davies is considered among the top 10 most promising teenage prospects in Europe in the latest CEIS Football Observatory list. U23 striker Sam Byrne joins Dundalk on a 6-month loan spell throuh till the end of the season. Everton Under-18s were narrowly beaten by Chelsea in the semi-finals of the Premier League Cup at USM Finch Farm today. Eliaquim Mangala may not play again this season after sustaining suspected knee ligament damage last weekend. Everton’s all conquering class of ‘85 was one of the greatest ever but unless you were one of the few who attended Goodison Park at the time there’s a good chance you never actually saw them play. Everton are calling on fans to take part in a survey to help to shape the development of the Club’s new stadium at Bramley-Moore Dock. Lifelong Evertonian Dot, who turned 100 earlier this year, was treated to a special Valentine’s day out with Blues Ambassador Graham Stuart on Monday afternoon. Cenk Tosun is hoping to use Everton’s warm-weather training camp to increase his fitness as he bids to finally launch his Goodison career. Antony Evans scored the only goal as Everton's U23s beat Barnsley at Oakwell with Ramiro Funes Mori in the line-up. New signing, Cenk Tosun, will have to be patient as he waits for more chances to impress, with Sam Allardyce saying the Turk has struggled to adapt to the English game. Everton cruised to a rare routine victory as they over-powered Crystal Palace with three second-half goals. Everton's U18s emerged victorious against local rivals Liverpool following a 3-1 win at USM Finch Farm today. Seamus Coleman will undergo a scan on an unspecified soft-tissue problem after he was forced off at half-time of today's 3-1 win. Sam Allardyce says he wasn't expecting the reaction to his decision to introduce Morgan Schneiderlin as an 80th-minute substitute in today's win over Crystal Palace. Everton U23s could only draw 0-0 with Barnsley this evening in the Premier League Cup action at the Merseyrail Community Stadium in Southport. Admitting that pressure to win comes with the territory of being Everton manager, Sam Allardyce is nonplussed by suggestions of negativity emanating from the fanbase. Everton return to the relative comforts of home this weekend looking to put last Saturday’s nightmare at the Emirates behind them when they face Roy Hodgson's Eagles. Sam Allardyce says that last weekend's crushing 5-1 defeat at Arsenal was a "blip" that Everton have to get over quickly, starting with this weekend's match-up with Crystal Palace. Sam Allardyce admits that the thought of returning to retirement fleetingly crossed his mind following Everton's awful result at Arsenal last weekend but he says he needs the challenge posed by managing the Blues. Liam Rosenior writes: "England could only benefit if more of the squad had sampled a different environment while embracing a new language and culture, as the under-21 winger is doing at RB Leipzig"
David Unsworth will remain in his role as manager of Everton's Under-23s after turning down an offer to take over at Oxford United. The new Everton striker has opened up about his faltering introduction to the English game but expressed confidence he will make his mark. Link fixed Brendan Galloway was not granted the loan move back to MK Dons he was seeking, leaving him in limbo at the Stadium of Light. Ronald Koeman has been appointed manager of The Netherlands, his first position since being sacked from the Everton post. Everton's Under-23s were well beaten by Arsenal tonight but there was good news for Ramiro Funes Mori who came though 45 minutes of action. Sam Allardyce says Everton need to get to a points tally that will guarantee safety from relegation so that the club can write off the current season and focus on 2018-19. Ademola Lookman got his loan spell at Red Bull Leipzig off to the perfect start by scoring an 89th-minute winner for his new team. Everton return to London for another difficult Saturday evening kick-off as they face Arsenal at the Emirates Stadium. Sam Allardyce was scathing of his team’s inconsistency and what he described as a “pathetic” first-half display following today’s 5-1 thrashing at the hands of Arsenal at the Emirates Stadium. The list of players that Everton registered with the Premier League following the closure of the transfer window has been released. Sam Allardyce has suggested that, while new signing Cenk Tosun acclimatises to the Premier League, Oumar Niasse is currently Everton’s most reliable source of goals. The manager reiterated that he hadn't planned on sending Lookman out on loan but defended Everton's record of blooding young players. Seamus Coleman has been reflecting on what was a personal moment of triumph after making a long-awaited return to Premier League action last night. Louis Gray has become the latest Everton youngster to head out on loan this month, joining Carlisle United until the end of the season. Ademola Lookman has joined German outfit Red Bull Leipzig on loan from Everton until the end of the season, seemingly against the advice of the club. Updated Everton have signed Manchester City's back-up centre-half, Eliaquim Mangala, on loan until the end of the season. Sandro Ramirez has been handed a route out of his frustrating spell at Everton with a move back to La Liga agreed. Evertonians only have until midnight tonight (31 January) to take advantage of the Club’s 12-month Direct Debit offer on 2018/19 Season Tickets. Toby Kebbell will play the iconic 1920s footballer in movie project that will reveal how his family helped him deal with mental health issues. Paddy Boyland provides his assessment of Everton's stalled progression under Farhad Moshiri. Gerard Deulofeu will run out to Z-Cars again this season after Barcelona agreed to loan the winger to Watford. Middlesbrough are said to be trying to negotiate a loan deal for Everton's out-of-favour midfielder Muhamed Besic. The Everton boss has played down the chances of Everton signing cover for Leighton Baines this week. Everton will not be sending Ademola Lookman out on loan for the remainder of the season but Sam Allardyce has not ruled out further deals. Ramiro Funes Mori's rehabilitation from a serious knee injury is continuing with his return to training at Finch Farm. Everton U23s forward Boris Mathis has joined Northampton Town for the rest of the season. Under-23s midfielder Conor Grant has seen a proposed loan move to Plymouth Argyle fall through due to an oversight by Everton. The Spanish striker will be allowed to leave on a temporary basis this month but the Blues are said to be reluctant to lose him entirely. Everton Under-18s advanced into the semi-finals of the Premier League Cup with a 2-0 win over Fulham at USM Finch Farm. Fraser Hornby and Bassala Sambou combined for two goals as Everton's Under-23s beat the Londoners at the Merseyrail Community Stadium in Southport this evening. Sam Allardyce has put the onus on Everton's out-of-favour players to demonstrate 100% readiness if they are to seize any chance they are given in the first team. Selected by Atlanta United in the second round, English midfielder Oliver Shannon honoured his mother with an emotional speech at last week's MLS SuperDraft. Everton have unveiled the framework which will shape the club’s future as it pertains to the proposed stadium at Bramley-Moore Dock. Updated Everton could ensure that Luke Garbutt is eligible to provide cover for the injured Leighton Baines by officially adding him to the squad for the remainder of the season. Seamus Coleman took to the field for the first time since last March when he played almost an hour for Everton Under-23s against Portsmouth this evening. Aaron Lennon has concluded a deal to join Burnley for a nominal fee, ending a three-year association with Everton. Everton FC just scrape into the Deloitte top 20 richest clubs list behind the likes of the mighty Southampton, West Ham Utd and Leicester City. Shani Tarashaj appears to be nearing full fitness again but looks an unlikely prospect for a loan this month. Video: Where has it gone wrong for Everton? Johnny Phillips went to Merseyside to meet Everton's fans and ask where it all went wrong after the huge summer investment. Everton Under-23s take on Portsmouth at Goodison Park in their Premier League Cup contest on Tuesday night (7pm kick-off). Sam Allardyce says that his two nominal No.10s can't operate in the same team because neither has the pace nor the legs to cover enough ground. Oumar Niasse will not be leaving Goodison Park during the current transfer window, with manager Sam Allardyce adamant that he can't lose the striker. Jimmy Armfield, who died today, was offered the Everton manager's job by Sir John Moores in 1973. Theo Walcott marked his debut with a vital assist as Everton clawed back a point against West Brom in a game marred by a broken leg sustained by James McCarthy. Everton Under-18s edged West Bromwich Albion in a five-goal thriller at USM Finch Farm on Saturday. The manager admitted he was containing his frustration at another lamentable Everton performance, saying that his team are struggling with a “mental problem”. The sickening injury suffered by James McCarthy's in today's 1-1 draw with West Brom has been confirmed as a double compound leg fracture. Aaron Lennon is on the verge of concluding a deal to join Burnley for a nominal fee. The skipper has welcomed the acquisition of his former England team-mate saying that the ex-Gunner can add attributes that Everton side have lacked this season. Theo Walcott has completed his move from Arsenal to Everton in a reported £20m deal, becoming the Blues’ second signing so far in the current transfer window. Kevin Baxter trumpets the efforts of Everton In The Community across the Pond. Everton Under-23s kicked off their New Year with a 2-1 win against Tottenham Hotspur on Monday afternoon thanks to an Antony Evans brace. Everton U18s came unstuck against Stoke City U18s by the odd goal in three scored in the last 10 mins to lose Saturday's game 2-1 at the Clayton Wood Training Ground. Everton were completely out-played by Tottenham for the second time this season, going down to a heavy 4-0 defeat. Sam Allardyce admits that he saw for the first time the propensity for the Everton side he inherited to throw in the towel as he watched the Blues crumble to a 4-0 defeat against Tottenham today. Updated Everton could make their second big-money signing of the month this week with a £20m deal for Theo Walcott close according to reports. Everton get back to the bread and butter of the Premier League this weekend with their season essentially over bar the goal of a top-seven finish. Sam Allardyce has admitted that he would like to see if Everton could get a deal over the line for Arsenal winger Theo Walcott. Everton U23 player Harry Charsley has joined Championship side Bolton Wanderers on loan. Mason Holgate could face an investigation by the FA into long-since deleted posts to Twitter by the defender when he was 15 and 16 that contained homophobic epithets. Major shareholder says he is "quietly confident" that Everton will have a much stronger second half to the season under Sam Allardyce now that Cenk Tosun is through the door. Architect Dan Meis says that he and his firm have a unique opportunity to create a stadium unlike any other in the Premier League with the site at Bramley-Moore Dock. Everton Football Club Co Ltd's Annual General Meeting of Shareholders for 2017 took place at the Philharmonic Hall this evening. Seamus Coleman has resumed training with Everton's first team as he prepares for his much-anticipated return from a double leg fracture. Kieran Dowell scored a controversial penalty to set the seal on Nottingham Forest's FA Cup Third Round victory over Arsenal this afternoon. Everton U18s have beaten Derby County 2-1 at their training ground. Updated Everton have agreed to send Kevin Mirallas back to Olympiakos on loan for now. The game's governing body are expected to launch an investigation into the allegations of racism against Liverpool forward Roberto Firmino that caused tempers to flare in last night’s cup derby at Anfield. Everton have completed a £22m deal for Cenk Tosun who becomes the first signing of Sam Allardyce's tenure. Everton are out of their last cup competition of the season as Virgil van Dijk's late header won this third-round tie for Liverpool. Chelsea have signed Ross Barkley, completing the formalities on a £15m transfer that almost went through for more than twice that in August. Everton have extended the loan deal for young defender Antonee Robinson to gain more first-team experience in the Championship with Bolton Wanderers until the end of the season. Everton Under-23s midfielder Liam Walsh has signed for Bristol City in a permanent deal, the club have announced. Everton’s road to Wembley starts in one of the last places they would have wanted it to… at Anfield against Liverpool. Sam Allardyce hasn’t ruled out some possible outgoings this month, including Barkley, although players will only be allowed to leave in permanent deals. Updated Club officials have met with Besiktas president, Fikret Orman, in London and have agreed a fee of £27m for the striker. Goodison Park has played host to thousands of matchdays and each one has afforded every fan an opportunity to create a lasting memory and to share special experiences. Everton have turned down an approach from Barnsley to sign Joe Williams on a permanent basis. Academy product Gethin Jones has completed a move to Fleetwood Town. Sam Allardyce expressed his displeasure with the way Everton gave up the ball and then failed to contain Manchester United in today's 2-0 defeat. Sam Allardyce says Everton have done all they can with regard to their attempts to sign Cenk Tosun and that the club is waiting for Besiktas to accept their offer. Everton’s plans to relocate to a brand new stadium at Bramley-Moore Dock continue but the cost estimate and the timescale for its opening have changed. Everton finished 2017 with Sam Allardyce’s first defeat as manager as Ryan Fraser’s deflected winner handed Bournemouth their first win in nine games. Morgan Schneiderlin has acknowledged that Everton need to play better if they are to continue to make up ground on the top seven. Updated Everton have apparently sent a delegation to meet face-to-face with Besiktas officials in a bid to land Cenk Tosun ahead of competition from Europe. Everton close out 2017 with a trip to Bournemouth looking to secure what would be only their third away win of the calendar year. Henry Onyekuru will have an operation on his injured knee after all following confirmation from the Belgian club where he is currently on loan. The winger says he was under no illusions about the severity of his knee injury and counts his return to action this month as a blessing. Everton could finally be adding to their under-staffed forward line with the acquisition of Cenk Tosun from Besiktas. Everton played out another gritty but uneventful goalless draw at the Hawthorns to add to last Saturday's point against Chelsea. Everton's year finishes with back-to-back away games, the first of which is at the Hawthorns against struggling West Brom. Leighton Baines looks unlikely to return to action any time soon after he suffered a set-back on his path to recovery from a calf injury. Everton dug in to earn a point against Chelsea as they extended their unbeaten run to six matches. Everton's on-loan striker Henry Onyekuru is facing a lengthy lay-off after scans revealed damage to a medial knee ligament. Everton have announced record turnover of £171.3m for last season and a post-tax profit of £30m. A measure of Everton’s revival under Sam Allardyce arrives this weekend as Chelsea come to Goodison Park for the final game before Christmas. Morgan Schneiderlin has reiterated his commitment to Everton and again indicated his surprise at the negativity that built up around him at the time of his reported ejection from training last month. Now 67, the former Everton player became British over-age Taekwondo champion four years ago and has now qualified for the 2018 World Championships in Taipei. Everton U23s cannot resume their faltering Premier League 2 campaign against West Ham in Southport tonite due to heavy fog. Sam Allardyce was happy to see Everton eventually prevail against struggling Swansea City after seeing his charges concede a soft goal to go 1-0 down in the first half. Everton return to Goodison Park following a brace of away games that yielded four points from six to play two home fixtures that present an opportunity to keep closing the gap on the top seven. Morgan Feeney has become the latest of Everton's up-and-coming youngsters to commit their future to the club by signing a new contract. James McCarthy and Yannick Bolasie both managed 45 minutes for the Under-23s this evening as they drew 0-0 with Dynamo Zagreb. Updated Sam Allardyce says that there's little he would be able to do should the club accept an offer for Ross Barkley in the coming transfer window but he hopes the midfielder will stay. Everton star Wayne Rooney was the special guest during this year’s Christmas visit to Claire House Children’s Hospice. Everton have moved to secure the futures of Dominic Calvert-Lewin, Mason Holgate and Jonjoe Kenny by handing the three players new deals. Everton travel to the northeast for the first of four games in the space of 13 days to take on Newcastle United. A solitary Wayne Rooney strike earned Everton victory at St James's Park, a third League win in four games, as their recovery continues. Sam Allardyce reflected with satisfaction on Everton’s fourth win in five games in all competitions following the 1-0 victory over Newcastle but wants more when his side have the ball. Everton are unbeaten in their last four games but their form will really improve when Yannick Bolasie and Seamus Coleman return and give them some pace, says Martin Laurence in The Guardian. Yannick Bolasie saw his first semi-competitive action since recovering from a serious knee injury, coming on as a substitute for Everton's Under-23s this evening. Sam Allardyce says that his top priority since being appointed as Everton’s new manager has been to tighten up what was, briefly, the leakiest defence in the Premier League. Everton plundered a point from Anfield thanks to a rare penalty on this ground, thumped home by Wayne Rooney with 13 minutes to go. Everton's annual Christmas party has been called off by Sam Allardyce so that the players can focus on turning their season around. What is preferable? Winning the Under-20 World Cup or ending an 18-year winless streak at Anfield in the Merseyside derby? Everton U18s were knocked out this season's FA Youth Cup at the first hurdle by Ipswich Town at Goodison Park tonight. Everton U18s host Ipswich Town in the 3rd Round of this season's FA Youth Cup, at Goodison Park tonight, kick-off 7:00 pm. Everton's FA Cup Third Round tie against Liverpool has been scheduled for Friday 5th January and will be broadcast live by the BBC with a 7:55pm kick-off. Everton’s disastrous Europa League campaign comes to a close this evening in Cyprus as they take on Apollon Limassol in a genuine dead rubber in Group E.
Everton have agreed to loan one of their young goalkeepers, Matthew Johnson, to non-league club Ramsbottom United. Everton have announced another freeze on all Season Tickets prices for the 2018/19 season. It appears that Joe Royle has left Everton, presumably as a result of changes to the backroom staff following the appointment of new manager Sam Allardyce. David Unsworth watched on from the stands as Everton Under-23s played out a goalless draw in their penultimate Premier League International Cup group fixture. Everton will be back at Anfield next month to face Liverpool in the FA Cup following today's draw which paired the Merseyside clubs together. New Everton boss Sam Allardyce says that he would like to bring in a sport psychologist to help those players who have struggled so much to find their form this season. Everton began the new manager's tenure with a second successive home win as goals from Sigurdsson and Calvert-Lewin were enough to see off Huddersfield. Jamie Carragher describes the challenge facing Sam Allardyce to win over hostile Everton fans who are not impressed with his appointment as manager. Sam Allardyce said he was pleased to see his new charges record their second home win of the week which relieves the pressure on a squad that looked destined for a relegation fight after last weekend's heavy defeat at Southampton. Everton Under 23s' Premier League Cup hopes suffered a blow after the Toffees conceded either side of skipper Morgan Feeney’s 55th-minute goal to go down to a 2-1 defeat by Leicester City. Sam Allardyce says he would like to be more than just a short-term fixer at Everton and expressed his hopes of bringing a “winning brand” of football back to Goodison. Everton have officially announced Sam Allardyce as their new manager after the 63-year-old finalised a deal until the end of 2018-19. New Everton boss Sam Allardyce says that he is looking forward to the job of rallying the team he has inherited at Goodison and pushing the team back up the table. David Unsworth signed off as caretaker manager with a handsome victory thanks to a treble from Wayne Rooney and a fine penalty save from Jordan Pickford. David Unsworth was a contented man at the final whistle of the final game of his six-week stint as caretaker manager of Everton as he reflected on a 4-0 win over West Ham. Updated Sam Allardyce is to be announced as Everton's next manager after the club confirmed he has agreed terms. Everton go into successive home fixtures that could have enormous ramifications for their season as the search for a manager rumbles on. David Unsworth says that he has no regrets about stepping into the void created by Ronald Koeman's dismissal but concedes he is pained by the club's current plight. Everton Under-23s and Manchester United Under-23s played out a goalless draw in the Premier League 2 at Southport on Monday night. David Unsworth has admitted Everton are struggling on the pitch but stopped short of agreeing the Blues are in a fight for their Premier League survival. Everton will look to quickly forget Thursday’s debacle against Atalanta as they travel to fellow strugglers Southampton. Everton U18s secured a fine win at Blackburn Rovers after going behind in the first 5 minutes. The midfielder says that he is confident Everton are a better team than their form suggests and that they just need to get a couple of wins on the board. The Telegraph are carrying a report that says referee Andrew Taylor stood by his penalty decision in the Niasse 'diving' fiasco. The board still have a shortlist of three names but a new manager to stabilise the club is imminent according to Farhad Moshiri. Simon Hart writes that the Argentine was often out of his depth in his short spell but as the suddenly indispensable Oumar Niasse’s example this season underlines, Goodison Park loves a trier. Everton were thrashed 5-1 by Atalanta as David Unsworth's hopes of picking up another morale-boosting home win were shredded by abysmal defending. David Unsworth says that the players who took the field against Atalanta have to shoulder their share of responsibility for an awful 5-1 drubbing. Everton face Atalanta in what is, for them at least, a meaningless fixture but which could hand chances to impress for some of the fringe players. Yannick Bolasie has returned to first-team training after almost a full year out with a bad knee injury while Ross Barkley is close to making his own return. Oumar Niasse has defended himself against claims that he dived to win the penalty that brought Everton back level in Saturday’s draw with Palace. David Unsworth saw a gutsy display and signs of progress from his Everton team in Saturday’s 2-2 draw at Crystal Palace. Everton’s Under-23s were trounced 4-0 by local rivals Liverpool at Prenton Park on Saturday. David Unsworth continues at the helm as Everton resume Premier League action this weekend against Crystal Palace. Fortune smiled on Everton again as they took a point from the Premier League’s bottom club on the back of a disjointed display in the rain. David Unsworth has provided a positive report on almost all of Everton’s long-term injured players, confirming that Tom Davies will be fit again for this weekend’s match against Crystal Palace. Sam Allardyce says he is no longer interested in the Goodison post due to what he perceived to be Everton's indecision. Everton U-18s take on Ipswich Town in the FA Youth Cup next month. Watford have reportedly rejected an approach from Everton for their manager, Marco Silva, saying they won't countenance requests for talks. Updated Liam Walsh is back at Finch Farm early from his loan spell at Birmingham City. Everton are set to be boosted by the long-awaited return to training of the Congolese winger. "They have suited me down to the ground" says Kieran Dowell on his Nottingham Forest loan move; "We play some really good football, it’s a great team, there’s great staff and it’s a really good club." Nikola Vlasic says there is no issue with his dearth of recent game time at Everton, and he has not spoken with David Unsworth about it. Some players have youthful exuberance on their side and others the nous that comes with experience, but few in the ranks have both. With reliable heads thin on the ground, the Blues have been forced to place too much faith in creaking elder statesmen and young bucks with rough edges to iron out. Jordan Pickford earned his first senior cap for England this evening after Jack Butland was forced to withdraw from the squad though injury. David Unsworth and the Everton’s Under-23 squad joined more than 200 brave fans by sleeping out in the Everton in the Community Goodison Sleepout. Kevin Mirallas has issued a public apology to Everton and expressed his commitment to the club following reports he was dismissed from training on Saturday. James McCarthy won't be selected by Ireland for their World Cup playoff against Denmark due to his latest injury. Morgan Schneiderlin has denied reports that he was "sent away" from training on Saturday and affirmed his commitment to Everton with a post on social media. Kevin Mirallas and Morgan Schneiderlin were dismissed from first-team training yesterday and told to go home because of a "lack of effort", according to a report by Sky Sports. Part one of the BBC’s investigative programme included the anticipated scrutiny of Farhad Moshiri's major shareholding in Everton FC and potential links to the Uzbek-Russian tycoon. Everton host Watford this weekend in a fixture that has grown in importance since the Blues’ latest European disaster. Jordan Pickford insists that Everton's situation is different to the one he experienced at Sunderland and that a change in luck could make all the difference to their season. The question of Alisher Usmanov's involvement in Farhad Moshiri's investment in Everton FC will be an element of a two-part BBC special airing tomorrow and Monday. Everton Under-18s battled to victory against Swansea City with a Fraser Hornby brace in the Premier League Cup at USM Finch Farm. Cuco Martina was released from hospital in time to travel back to Merseyside with the rest of the Everton squad last night. Everton travel to Lyon for their latest Europa League Group E fixture in what is effectively a win-or-bust scenario for the club. Everton U23s were knocked out of the Checkatrade Trophy on Tuesday night following a 1-0 defeat at Mansfield Town. Everton supporters travelling to Lyon for Thursday’s Europa League Group Stage tie have been advised not to travel to the Groupama Stadium if they don’t have tickets for the game. Everton suffered another defeat, their fifth in the last six games in all competitions, as David Unsworth was unable to spark a revival in the team’s fortunes at Leicester. Michael Keane missed yesterday’s defeat at Leicester after developing an infection in the foot that was cut open five weeks ago. The on-loan Everton winger grabbed his first professional treble as Nottingham Forest won 3-2 at the KC Stadium. Everton's Lewis Gibson celebrated with the rest of his England's U17s who produced a fantastic comeback from 2-0 down to win 5-2. Everton travel to Leicester looking to build on their performance against Chelsea in the cup and improve their standing in the Premier League. Francis Jeffers got his first win as stand-in manager of Everton's Under-23 side thanks to Shane Lavery's late winner. Idrissa Gueye looks set to commit to another five-year contract at Everton, with David Unsworth announcing that an agreement is close. David Unsworth has praised his players for sticking to a game-plan at Chelsea that very nearly worked last night in the Carabao Cup. Recent addition to the Finch Farm Academy, Lewis Gibson, has a chance to be involved in the U17 World Cup Final on Saturday after England beat Brazil in the semis today. In his first post-Everton interview, Ronald Koeman blames the lack of a striker for the Blues' poor form and admits that he knew his neck was in the proverbial noose after the home defeat to Lyon. A 58-year-old Evertonian from Cumbria died on the recent away day to Brighton & Hove Albion, it has been reported. The post-Koeman era begins in one of the toughest arenas possible as David Unsworth takes charge of Everton’s Carabao Cup Fourth Round tie at Chelsea. David Unsworth says that he will sit down with Ross Barkley in the near future and make every effort to keep the midfielder at Everton. Everton U23s (officially billed as an U21s side) had Francis Jeffers in charge for their Checkatrade Trophy clash against Lincoln City which the Imps won 2-1. Ronald Koeman has expressed his disappointment at the termination of his 16-month stint at Everton but thanked the club and wished them well in the future. Nikola Vlasic has received a call-up from Croatia for their forthcoming World Cup play-off against Greece. Everton's shirt sponsor SportPesa have released a statement apologising for a post to Twitter yesterday celebrating Arsenal's victory over the Blues at Goodison Park. A tweet from the official account of the club's main sponsor, SportPesa, congratulating Arsenal on their 5-2 win at Goodison Park has caused outrage among Everton fans. Ronald Koeman seemed rattled in his post-match interview following another chastening defeat that saw Everton fall into the bottom three on the back of their fifth league defeat in seven games. Everton Under-18s overcame Manchester City 5-3 in a thrilling contest at Finch Farm today. Ronald Koeman’s quest to find a morale-boosting win continues with the visit of the Gunners this Sunday. Everton's Under-23s missed the chance to go top of the Premier League 2 table today as they were beaten by a single Black Cats goal. Everton have issued a statement following the incident in the second half of last night's game against Lyon that saw supporters become involved in a fight between rival players. Ashley Williams says he was disappointed to lose to Lyon this evening after what he felt was a decent performance in which the Blues showed a great attitude. Ronald Koeman bemoaned his players’ mistakes and lack of confidence, the standard of refereeing and a shortage of luck for Everton’s defeat to Lyon. Ronald Koeman says that he retains the full support of the Everton's Board as speculation over his future as the club's manager intensifies in correlation to poor results. Despite there being an apparent lack of competition for places in Everton's left-back position for the first team, fans won't be seeing Luke Garbutt any time soon. James McCarthy featured as Everton U23s lost 3-1 to Wolfsburg in the opening fixture of their Premier League International Cup campaign. There is a lot of negativity towards Ronald Koeman from Everton fans at the moment, and I can understand why he is under so much pressure, writes Kevin Kilbane. A 90th-minute penalty by Wayne Rooney salvaged a point at the Amex Stadium but it’s unlikely to ease the pressure on Ronald Koeman. Ronald Koeman was taking the positives from Everton’s ability to grab a late equaliser at Brighton rather than dwelling on the close brush with defeat despite having largely dominated the game. Everton Under-18s were ruthless in their 5-1 victory at Sunderland on Saturday. Everton’s season resumes this Sunday with a run of games to close out October that could have a huge bearing on their season. Everton U23s defeated Manchester City by the handsome score of 3-0 in their latest Premier League 2 fixture. Farhad Moshiri and Bill Kenwright reportedly dropped in at USM Finch Farm this week. Under-23s midfielder, Beni Baningime, has signed a new 2½-year deal with Everton. Oumar Niasse says that he feels blessed despite his challenges so far at Everton, a positive outlook that has helped him finally settle at the club. 37 but still going strong for Australia, Tim Cahill scored twice as the Socceroos broke Syrian hearts by winning their Asian Federation qualifying playoff in Sydney today. Iceland have qualified for the 2018 World Cup Finals in Russia thanks to a 2-0 win over Kosovo but there was heartbreak for Ashley Williams and Wales in Cardiff. Shane Lavery scored the winner as Everton's Under-23s got their Premier League Cup campaign off to a winning start. Five Everton players were in England U21s' starting XI as they took on Andorra in European Championship qualifying this evening and Tom Davies got the vital goal in a 1-0 win. Phil Jagielka is hoping to retake his place in Everton’s line-up this coming weekend when Everton face Brighton in the Premier League. OIivier Giroud has confirmed that he almost made a move from Arsenal to Everton over the summer but ultimately decided to stay put. James McCarthy is back on Merseyside having been left out of the Republic of Ireland's squad to face Wales tomorrow evening. The exciting 19-year-old was interviewed at his new home in Liverpool to talk about his love of hometown, Split, and his eventual move to England after turning other suitors down last year. The Irishman talks about his career, which, of course, included a stint at Everton where he scored one of the most important goals in the club's history and his progression to the legal profession which has brought him back to Goodison Park. Yannick Bolasie has expressed his gratitude for the support he has received through 10 months of recovery and says he can’t wait to return to action. Michael Keane played the full 90 minutes in Vilnius this evening as England edged Lithuania 1-0 to round out their World Cup qualifying campaign. Thomas Vermaelen says that his former boss, Ronald Koeman, has the experience and know-how to turn things around at Goodison Park. Everton's major shareholder, Farhad Moshiri, has apparently given his backing to Ronald Koeman as the manager struggles to turn around the team's poor start to the season. Column: Nil Satis Nisi Optimum? Nikola Vlasic has held his hand up with regard to his involvement in Burnley's goal yesterday but maintains that things will get better for the Blues. Chris Sutton thinks time is up for Ronald Koeman. He does not believe the Dutchman will still be in charge at Goodison Park after the International break. Something about Ronald Koeman has never sat right at Goodison Park, writes Tony Evans. The Dutchman does not seem to understand the culture of Everton, a place where the "School of Science" self-image still lingers. Ronald Koeman put the blame on his players’ inability to create enough chances for their failure to beat Burnley. Everton Under-18s were held to a 1-1 draw by Manchester United at USM Finch Farm today. Ronald Koeman has shrugged off suggestions that his team are in crisis, insisting that things aren’t as bad as they seem at Everton. Column: Koeman's reign a busted flush? Ronald Koeman put the blame on what sees as his players’ chronic lack of confidence and an insistence on backwards passing for their failure to see off Apollon Limassol. New academy addition Lewis Gibson has been included in England's squad for the U17s World Cup while Morgan Feeney and another new signing Dennis Adeniran are in the U19s' European Championship qualifying squad. Davy Klaassen says that his step up from the Dutch Eredivise is what he wanted but admits the transition has been challenging. Tests have revealed that Everton U23s defender Gethin Jones did not suffer a broken leg as suspected in last night's 4-2 win over Arsenal. Ronald Koeman says that Davy Klaassen needs time to find his feet, insisting that he has no doubts about his compatriot’s ability. Yannick Bolasie's rehabilitation has reached the stage where he can begin work outside on grass as he targets a return to action before the end of the year. James McCarthy has been included in Martin O'Neill's provisional squad for the upcoming international break but it remains to be seen whether he will be fit enough to play for his country. Everton U23s beat Arsenal 4-2 in Premier League 2 in a match full of incident at the Merseyrail Community Stadium in Southport. Oumar Niasse reflected on his match-winning intervention against Bournemouth and says that he hopes to now grasp his opportunity at Everton. Everton look set to be without both Michael Keane and Phil Jagielka for both the Apollon Limassol and Burnley games because of injury. Everton came back from a goal down to beat Bournemouth thanks to a quick-fire double from substitute Oumar Niasse. Ronald Koeman gave full credit to former outcast Oumar Niasse for his match-winning brace against Bournemouth and expressed his belief that it could be a key moment in the season. Both Everton and Hajduk Split have been fined by Uefa for the crowd disturbances that disrupted the first leg of the two clubs' Europa League playoff match at Goodison Park last month. The Blues' U18s travelled the short distance to Liverpool’s Kirkby Academy this evening and gave up a 1-0 lead, eventually losing 3-1 to Liverpool's youngsters. At the BBC website, Phil McNulty asks: Is this just a case of transition for an expensively reconstructed squad or does Koeman face deeper worries - and what has caused these early concerns? Oumar Niasse has revealed the role that Everton’s supporters have played in his gradual rehabilitation back into the Blues’ fold which saw him score his first goal for the club on Wednesday night. Gareth Barry has revealed that Ronald Koeman didn’t want to see him leave Everton last month but the midfielder felt it was the right decision for the twilight of his career. ESPN went behind the scenes at Goodison Park and Finch Farm to chat with the likes of Graeme Sharp, Jimmy Martin, Phil Jagielka and Jan Kluitenburg. Ronald Koeman has dismissed suggestions that he lacks ambition because he has downplayed his team's chances of finishing in the top four this season. TalkSport have apologised to Everton for Joey Barton's assertion that club Chairman Bill Kenwright had blocked the signing of a striker to replace Romelu Lukaku during the last transfer window. Everton have been paired with Chelsea at Stamford Bridge in this evening's draw for the League Cup Fourth Round. Everton enter into the Third Round of the Carabao Cup against Sunderland at Goodison Park tonight. Iain Jenkinson of real estate investment giant CBRE has been talking up the economic impact of Everton's proposed new stadium plans. Ronald Koeman is expected to be given time to try to turnaround Everton’s appalling start to the season after spending £130 million on new players in the summer. A first-half goal by Harry Charsley gave David Unsworth's Everton Under-23s a 1-0 victory against Derby County at Pride Park this evening. Wayne Rooney has appeared in court and admitted drink-driving. The 31-year-old was banned from driving for two years and ordered to perform 100 hours of unpaid work as part of a 12-month community order. Ronald Koeman dismissed Jose Mourinho’s assertion that Everton’s massive transfer outlay this summer means they should be challenging for the top four. Everton U18s beat West Brom at USM Finch Farm today with a last-minute goal from Ellis Simms. Everton have signed a multi-year shirt sleeve partnership with Rovio Entertainment, the games giant behind the Angry Birds franchise. Evertonian journalist for the FT, Paul McLean, has been killed by a crocodile in Sri Lanka. Everton carried their shocking recent form forward into the Europa League giving up three goals before the break. David Henen has been desperate to leave Everton's Under-23s in order to get regular first-team football. But Everton were having none of it and would not let him go. Everton begin their group stage campaign in Italy against Atalanta hoping to use Europe as a springboard to launch their season. Suggestions that Wayne Rooney has asked for and would be granted a leave of absence to deal with his personal issues have rubbished. Everton U23s continued their Premier League 2 campaign with a fine win 4-1 against Spurs on Sunday. Ronald Koeman admitted his side were surprised by Tottenham’s midfield shape, and could not handle their physicality. First-half goals from Manasse Mampala and Michael Collins gave Everton Under-18s a deserved 2-1 win over Middlesbrough at USM Finch Farm on Saturday. Architect Dan Meis has written a blog entry dedicated to Everton's Bramley-Moore Dock where he reiterates his excitement for what will be a project unlike any other his firm has tackled before. The transfer window will close before the start of the 2018-19 season following a vote by England's top-flight clubs this afternoon. Ronald Koeman has confirmed that Oumar Niasse will be given the chance to ignite his career at Everton after 18 disappointing months since his big-money move from Lokomotiv Moscow. The as yet unconfirmed breaking news suggests that Birmingham has been successful in it's bid to host the 2020 Commonwealth Games. Ronald Koeman says that while he is under contract, Ross Barkley remains an Everton player but he won't make a decision over the player's future selection until he is fit. Sandro Ramirez says that he is back to full fitness and will be raring to go when Tottenham come to Goodison Park this weekend. Both Ross Barkley and Seamus Coleman have been named by Everton in their squad of players for the Europa League Group stages. Oldham Athletic will visit Finch Farm to face an Everton U18s side in the Lancashire Senior Cup on Tuesday, September 5 (12noon kick off). Kevin Mirallas has expressed his sadness that a move back to Olympiakos was thwarted on transfer deadline day. Ross Barkley has played down suggestions he did a u-turn on a potential move to Chelsea in the middle of a medical exam with the London club. Dominic Calvert-Lewin made his first appearance for England's Under-21s and scored his country's only goal in a 1-1 draw with the Netherlands. Cheshire Police have confirmed that Wayne Rooney was arrested on suspicion of driving over the legal limit for alcohol consumption in the early hours of this morning. Nikola Vlašić has completed a move from Hajduk Split to Everton for an initial fee of around £8m. Transfer deadline day at Everton brought the expected acqusition of Nikola Vlašić from Hajduk Split but not the centre-forward that Ronald Koeman has been at pains to point out he badly needs. Ross Barkley has turned down a move to Chelsea after a £35m fee had been agreed with Everton and his medical was already underway. It appears as though Everton will only let Kevin Mirallas leave Goodison on loan this week after they reportedly rejected an offer from West Ham to take him on loan. Callum Connolly and Liam Walsh are the latest Everton U23 players to go out on loan, joining Ipswich Town and Birmingham City respectively. Conor Grant is going out on loan again, this time joining Crewe Alexandra until January. Everton's new goalkeeper has returned to Finch Farm to have a thigh problem assessed and is joined by Mason Holgate who has an ankle injury. The Toffees' wait for a Premier League victory at Stamford Bridge continues as they were comprehensively defeated by the reigning Champions. Reports emerged last night that Muhamed Besic's father Meho has been wounded in a gunfight in his native Bosnia. Kevin Mirallas was a surprise omission from the squad to face Chelsea today and was spotted at Manchester airport amid talk he could move before the transfer deadline. Ronald Koeman conceded that today’s trip to Stamford Bridge to face a very strong Chelsea side was asking too much of his depleted squad, one which is still short of a striker in his view. Everton are in the Capital for a third successive away game, taking their five-match unbeaten run to Stamford Bridge to face Chelsea. Everton U18s have won 7-1 at West Brom with a hat-trick for Anthony Gordon. Everton U23s chalked up their first win of the season, away to Chelsea, goals came from Baningime and Niasse after a first-half own goal. Everton will make trips to France, Italy and Cyprus in this year's Europa League group stage in what is shaping up to be a tough but winnable Group E.
Everton will be without two first-choice midfielders for Sunday's game at Stamford Bridge while no decision has been made yet on Idrissa Gueye. Gylfi Sigurdsson says it was "fantastic" to score his first Everton goal and particularly in such important circumstances. Having covered the red side of the city in Part 1, Neil Jones looks at the impact that Welsh players have had on Everton Football Club. Everton’s hopes of qualifying for the group stage of the Europa League rest on their ability to protect a two-goal first leg advantage in Split. Ronald Koeman was left marvelling at Gylfi Sigurdsson's wonder-goal in Split this evening that helped usher the Blues into the group stage of the Europa League. Everton have been drawn at home against Sunderland in the third round of the League Cup this morning. Aidy Boothroyd has drawn a sizeable chunk of his squad for the U21s the Blues while Jordan Pickford and Michael Keane get senior call-ups. Wayne Rooney has announced his retirement from international football, expressing his desire to concentrate on winning trophies with Everton. Everton came within 10 minutes of claiming their first win at the Etihad Stadium in seven years but were pegged back by Raheem Sterling’s volley. Sandro Ramirez could be fit to make the trip to Split later this week but Ronald Koeman says it is still too soon to say for sure. Everton fans travelling to Split for the away leg of the Europa League playoff tie are being advised to avoid displaying club colours in or around the city before or after the game. Everton begin a difficult sequence of fixtures tomorrow evening as they make the short trip the Etihad Stadium to face highly-fancied Man City. Everton U18s were defeated 3-1 by Derby County at USM Finch Farm on Saturday afternoon. Everton Under-23s suffered their first Premier League 2 defeat of the season, beaten 1-0 by Leicester City at Haig Avenue in Southport. Updated Ronald Koeman says new signing Gylfi Sigurdsson has a good chance of playing a role in against Manchester City. Both clubs are to be charged by Uefa in connection with the disturbances at Goodison Park last night during the Europa League playoff game. A one-minute applause will be held in the 11th minute of this evening’s Europa League playoff first leg against Hadjuk Split, to mark the tenth anniversary of Rhys Jones’ murder. Everton’s two-part quest to qualify for the Europa League group stage begins this evening as they take on Hajduk Split at Goodison Park. Everton have completed the long-awaited signing of Gylfi Sigiurdsson from Swansea City in a deal reported to be worth a club-record £40m. Ronald Koeman says that Everton's summer spending is not yet over as he seeks extra options up front to replace Romelu Lukaku. Sandro Ramirez could miss the first leg of Everton's Europa League playoff against the Croatians with an injury picked up against Stoke. Ross Barkley could be sidelined for much longer if reports that he tore a hamstring in training are true. The seemingly endless Gylfi Sigurdsson saga could soon be over amid reports that the midfielder will undergo a medical tomorrow. Gareth Barry's four-year spell at Everton is over after he agreed a move to West Bromwich Albion following the completion of a successful medical this afternoon. The top flight's 20 teams are to consider a proposal to end the movement of incoming players before the start of the Premier League season in a bid to end the perceived disruption of the end-of-August transfer deadline. Everton U23s start their Checkatrade Trophy campaign with a visit to Notts County on Tuesday night. Everton’s Under-23 team has hit the £230,000 fundraising target for their ‘Home is Where the Heart is’ campaign. James McCarthy has been included in Martin O'Neill's provisional squad for Ireland's upcoming international fixtures. U23s goalkeeper Mateuz Hewelt could miss the next three months after sustaining an ankle injury in training that has required surgery. Ronald Koeman admitted that his Everton side needs to "improve a lot" on today's performance against Stoke but he was justifiably happy to have started 2017-18 with a win. Kieran Dowell scored his first senior goal as Nottingham Forest made it two wins in two to start the new season. Everton U18s started their League campaign with a 2-2 draw against Stoke City at Finch Farm on Saturday. Leandro Rodriguez's frustrating spell in England is over after he made a move back to his home country with Danubio FC. Everton's second string kicked off their 2017-18 season with a goalless draw against West Ham Under-23s this evening. Everton’s main sponsor SportPesa are offering Evertonians free travel from Goodison Park on official club coaches for the upcoming away Premier League fixture at Chelsea on Sunday 27 August. A new season rolls around and Everton begin another quest to break into the top four as Koeman embarks on his second season in charge at Goodison. The club have unveiled the new third kit in a series of tweets by players today. Seamus Coleman has taken his rehabilitation from the double leg break he suffered earlier this year to the next stage, with strength-training drills outside at Finch Farm. Johnny Phillips delves into the Toffees' history with a visit to the pre-match festivities that go on at St Luke's Church before home games with the Everton Heritage Society et al. Ronald Koeman says that Everton are still negotiating with Swansea City over Gylfi Sigurdsson and stresses there is still time to get the transfer over the line. Everton U23s lost their final pre-season friendly by the odd goal in seven to a strong Brentford B side at USM Finch Farm on Tuesday. Tom Davies is revelling in his continued education in Everton's first team, saying that he will play wherever he is asked to by Ronald Koeman. Sandro put Everton ahead after 30 seconds against Sevilla in the last pre-season friendly at Goodison Park. David Unsworth's young Blues beat Bangor City 2-0 thanks to goals by Sambou and Garbutt. Bolton Wanderers have signed defender Antonee Robinson on loan from Everton until January. Ronald Koeman expressed his happiness at Everton's progress to the playfoff round of the Europa League qualifiers but admitted his team lacked fluidity going forward in the second leg against Ružomberok. Kieran Dowell began his season-long loan at Nottingham Forest as a substitute but impressed his new fans after coming on in the second half. The Blues will have to negotiate Croatian opposition in order to qualify for the group stage of the Europa League following today's draw. Now a Sunderland player following his summer move, the Irish winger has described his frustrating spell at Goodison Park under Roberto Martinez. Phil Jagielka has extended his Everton contract by another year, committing to the Blues until 2019. Promising Everton U23 winger Kieran Dowell is expected to start a season-long loan with Nottingham Forest this week. Tickets for a celebrity charity football match to celebrate the life of Bradley Lowery go on sale tomorrow morning from 10am. Everton will take a slender lead to Slovakia next week after a largely sluggish performance yielded a 1-0 win over MFK Ružomberok at Goodison Park. Everton’s 2017-18 season kicks off in earnest this evening as they take their first steps on the road to Lyon against the minnows from Slovakia. Ronald Koeman said he was happy with Everton’s victory over Ružomberok in the Europa League qualifiers this evening, particularly given that his players are still some way short of being completely ready for the new season. The club have confirmed the capture of England U17 defender Lewis Gibson from Newcastle in a deal that could reportedly top £6m. Everton have signed a partnership agreement with leading UK brewer Molson Coors to provide Carling, the UK’s number one beer, at Goodison Park from the start of the 2017-18 season. Štadión pod Čebraťom's 4,876-seat capacity means that Everton have been allocated less than 500 seats for next Thursday's Europa League Third Qualifying Round second leg fixture against MFK Ružomberok. Robert Elstone has provided some of the most substantive insights to date into Everton’s proposed new stadium in a podcast interview with the Everton Fans Forum. Everton U18s defeat Burnley to win CEE Cup! Everton U18s withstood a second-half push from Burnley in the CEE Cup final to seal the win with Tom Warren's second goal to make it 3-1. Ronald Koeman has admitted that Ross Barkley is looking for a new challenge away from Goodison Park this summer. In celebration of the life of Bradley Lowery, Everton are hosting a charity football match at Goodison Park on Sunday 3 September. The Welsh club continue to play hardball over their star midfielder, insisting on a price tag of £50m according to reports. Everton's U18/U19 side trounced FC Sarejevo 6-0 in the semi-final of the CEE Cup in Prague on Monday. Morgan Schneiderlin says that Everton will need to be ready as the Blues kick off their Europa League campaign against MFK Ružomberok. Everton's Europa League third qualifying round first leg fixture against MFK Ružomberok on Thursday is now sold out, the club have announced. Everton's third pre-season warm-up game was against KRC Genk in Belgium. A difficult first half ended with a classy goal from Rooney, fed by Sandro, but Genk tied it after the break. Everton Under-23s rounded off their pre-season training camp in Spain with a 4-2 win over Hull City on Saturday morning. Everton Under-19s put 6 past Gyori of Hungary to head Group B and move on to the Semi-Finals of the Generali CEE Cup on Monday. Everton U19s play their second and final group game on Saturday to decide who goes forward to the semi-final of the third GENERALI CEE Cup in Prague. The Blues' opponents for the third qualifying round of the Europa League have been confirmed as MFK Ruzomberok after they beat SK Brann this evening. Joe Williams's temporary move to Barnsley has been confirmed. Zirkzee plays for Everton U19s in the CEE Cup. Dutch "superkid" Joshua Zirkzee played for Everton U19s in their CEE Cup match against Academy Pandev today, suggesting that the Blues have won the race for his signature. Everton took on the Dutch Eredivise side, winning with goals from Mirallas, Lennon and Dowell. Everton have beaten the elitist trap set by Financial Fair Play and are no longer doomed to stay in mid-table for ever. Injury-hit Under-23s forward, Sam Byrne, has signed a one-year contract extension with the Club which will run until the end of June 2018. Everton playing legend and former Academy coach Kevin Sheedy has been appointed to a new coaching role at Al-Shabab. Jordan Pickford, Sandro Ramirez and Cuco Martina are among the 25-man Everton squad which left for Holland on Monday afternoon. Under-23 striker Courtney Duffus has signed for Oldham Athletic for an undisclosed fee. Everton have confirmed the signing of versatile defender Cuco Martina whose Southampton contract expired this summer. Everton Under-23s have travelled to Spain for a week-long pre-season training camp. The U-23s led with goals from David Henen and new signing, Josh Bowler just before the break but fell behind and needed Bramall's shot to level the scores. Barcelona have confirmed re-signing winger Gerard Deulofeu from Everton after exercising a buy-back clause believed to be worth €12m (£10.6m). Everton started pre-season with a win against the SportPesa Super Cup winners in Dar-es-Salaam, with brilliant goals from Rooney and Dowell. Aiden McGeady has officially left Everton for Sunderland after the Wearsiders confirmed his acquisition for an undisclosed fee. After touching down on the tarmac in Tanzania, a host of Everton first-team stars journeyed across Dar-es-Salaam with representatives from the Club’s Main Partner, gaming giant SportPesa, to find out more about the East African country, its cultures and some of its community outreach work. The club have announced the selected squad numbers for the coming season and there was a couple of surprises. In this pertinent piece, Rory Smith of the London Times highlights how Wayne Rooney, Everton's returning Prodigal Son, has never received the unbridled acclaim his achievements deserve. Aaron Lennon has expressed his gratitude for the support he has received from his family, Everton and the football world as a whole during what was a difficult period for him earlier this year. Shani Tarashaj's hopes of forcing his way into Ronald Koeman's thinking this summer have been dashed by an operation required on his knee. Everton's change strip reverts to white for the coming season, with Umbro and the club unveiling a design incorporating Prince Rupert's tower. The Under-23s will play pre-season frendlies at Burscough and Accrington Stanley this week. Wayne Rooney says he is delighted to be back in an Everton shirt after jumping at the chance to return to his boyhood club. Romelu Lukaku's potentially record-breaking move to Manchester United has now been officially announced. Wayne Rooney was confirmed as an Everton player again today, 13 years after he left Goodison Park for Old Trafford. David Unsworth's men enjoyed a comfortable afternoon in Flint, winning 6-1 in their first pre-season friendly with new signing Boris Mathis on the scoresheet. Romelu Lukaku looks bound for Old Trafford after United announced that they have successfully negotiated a fee with Everton – £75m rising to £90m. Tyias Browning's season-long loan to Wearside has been confirmed. Bradley Lowery, the young Sunderland boy who captured the hearts of the football world with his battle against neuroblastoma, passed away today surrounded by his family. German U20 forward Anton Donkor will get a second chance to impress David Unsworth after he finalised a six-month-long switch from Wolfsburg. Everton have been selected for just three live games by Sky Sports between August and the start of October. QPR midfielder Josh Bowler has been confirmed as the latest addition to Everton's Under-23s squad after undergoing a medical today ahead of a £1.5m move. Manchester United have stepped in front of Chelsea in the quest to sign Romelu Lukaku amid reports they have had a bid accepted for the Belgian. The club have signed the young left-back to a new two-year deal as he bids to make the breakthrough to the first team. ToffeeWeb's Lyndon Lloyd basks in the dizzying transformation underway at Everton under Farhad Moshiri which has seen the club out-spend everyone in 2017 so far. Former Everton midfielder Steven Pienaar looks likely to finish his playing career in his native South Africa after signing for Bidvest Wits. The club have confirmed the acquisition of 19-year-old Boris Mathis from Metz who has signed a two-year deal. Everton have confirmed that Brendan Galloway will spend the coming season in the Championship with Sunderland. Kevin Sheedy is reportedly leaving his role as coach of Everton Under-18s after a successful tenure at Finch Farm. Everton look to have agreed a deal with Sunderland for the sale of Aiden McGeady, ending the player's 3½-year association with the club. Everton have completed the much-anticipated signing of Michael Keane from Burnley in a deal that could rise to £30m. Everton have completed the acquisition of Sandro Ramirez in a £5.2m deal from Málaga with the player signing a four-year contract. Tyias Browning and Brendan Galloway could both be signing on loan for Sunderland this week according to Sky Sports. The sight of a smiling Aaron Lennon was a welcome one as the bulk of Everton's squad reconvened at Finch Farm today. Former Everton midfielder Gareth Farrelly talks about the goal that saved the Toffees from relegation, his troubled League of Ireland spell, and beating the odds to survive a life-threatening illness. Tom Cleverley and Arouna Koné are the two first-teamers listed among a dozen players leaving Everton this summer. Everton's newly revamped Official Memberships are now on sale.